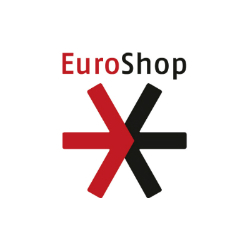 Messe Düsseldorf - March 6, 2017 - Hall 6 - Stand G46 - According to the EHI "Omnichannel Study 2016", new Web2Shop and Click & Collect concepts are already highly relevant for retailers today. In particular, TELENORMA and AURES are currently earning money for online products and services in the stationary retail business and have been able to attract new customers. Cloud cash register HANDELSFAKTOR to connect with the modern and sustainable hardware of AURES, in order to make online services locally accessible and possibly billable by EC terminal. Gerd Schick explains: "Consumers today want to be looked after uniformly online and on site and pay securely, preferably at a" real "cash register. But that must also be timely. This is where the cash register systems with AURES peripherals score, thanks to the highly modern design and Green IT, exactly fit into this concept". AURES is therefore now an exclusive partner of TELENORMA. Any solution delivered with hardware is equipped with one of the design-oriented AURES cash registers and realize the vision of HANDELSFAKTOR: the cloud fund, as a universal connector for online offers with AURES hardware on site. A completely new online ZVT interface developed by TELENORMA enables the EC terminal to be connected in such a way that the payment process in the network can be initiated and the payment processed in the secure local network. The approach is convincing - especially for market participants who also turn their industry upside down - chain stores, wholesalers and e-cigarette suppliers. For example, Highendsmoke, Ex-Trade and CULAMI are revolutionizing the e-cigarette industry with the HANDELFFAKTOR solution and AURES hardware. Highendsmoke is now the largest chain store in the e-cigarette sector. The branches are currently being converted nationwide to HANDELSFAKTOR and AURES. Together with Industrial Valley 4.0, CULAMI and TELENORMA have set up a unique Industry 4.0 project, which will bring new advantages to retailers. The increasing digitization is changing every industry. Digital networking enables efficiency advantages as well as new growth potential and business models. These should now also be made accessible to the e-cigarette industry. Obviously on the hardware of AURES. Ex-Trade goes a step further and offers its dealers an own edition with numerous modules, which turns the TRADING FACTOR solution into the leading industry solution for the e-cigarette sector. 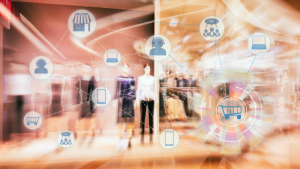 These industry-specific solutions, developed with the latest technologies, offer retailers completely new and unique efficiency gains, new business models, and enable Web2Shop concepts to appeal to new target groups. Image source: Photo # 128700329 © Montri / Fotolia. Founded in 1989 and listed on Euronext since 1999, AURES Group develops and manufactures POS systems and related peripherals. 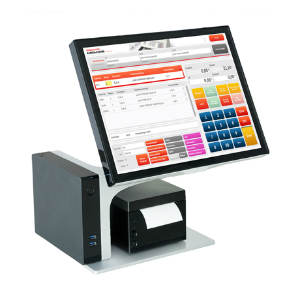 This EPOS hardware are open systems with PC architecture for retail and business premises, for food and non-food companies and retail chains, for the hotel and restaurant industry and for all types of outlets and service sectors (POS sector - points of sale & points of service). With total annual sales of € 76.2 million in 2016, the Group is represented worldwide (with its parent company in France and subsidiaries in the UK, Germany, Australia and the US) and has a network of distributors in more than 50 other countries , In 2016, AURES won the prestigious BFM Award for Export Services. In addition to POS activity, the equipment and OEM systems department is in direct contact with the integrators and developers who support the industry, integration (OEM) and digital display industries with single components and complete assemblies. TELENORMA AG, with its TN Cash Systems business, which was spun off in 2014, and the " HANDELSFAKTOR" solution developed in 2012, is one of the providers that have set itself the task of strengthening the retail sector and developing new business models for it.